Thread name to be modified once we know more about this. 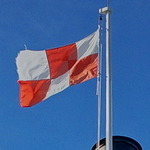 - for now, this is likely the start of a multi-year thread about the next trio of new ships (similiar to how we started the Salish Class thread, a few years ago). I think that this Request for Expressions of Interest is the signal that the process for 3 new minor vessels is now underway. So our discussion is also now underway. The British Columbia Ferry Services Inc. has issued a Request for Expression of Interest in order to identify shipyards or other marine fabricators with interest in and capacity for the design and construction of a three (3) new Minor Class double-ended roll on/roll off passenger/vehicle ferries for service in the waters between the Mainland and Vancouver Island, British Columbia. Shipyards or marine fabricators interested in receiving details of this RFEOI are advised to contact Leonard Nakano, Purchasing Agent by e-mail at leonard.nakano@bcferries.com to request a copy of the documentation. It is interesting why they are calling for 3. Not that this was an official plan document, but this here old possible-timeline doesn't exactly match today's call for 3 minor ships. Is "Minor Class" too small to be the Bowen/Mayne/PRQ replacements? So many questions, but this is just the start of things. I would think according to the timeline above. the North Island Princess and Nimpkish would be the next two replaced and I expect maybe Howe Sound Queen...they would be minor vessels. I don't think the Bowen class are that minor...! However I would think Discovery Coast would require something a little bit different than Nimpkish unless they plan to purchase used for Discovery Coast from Eurpope?? A little Ferrapy will do you good. 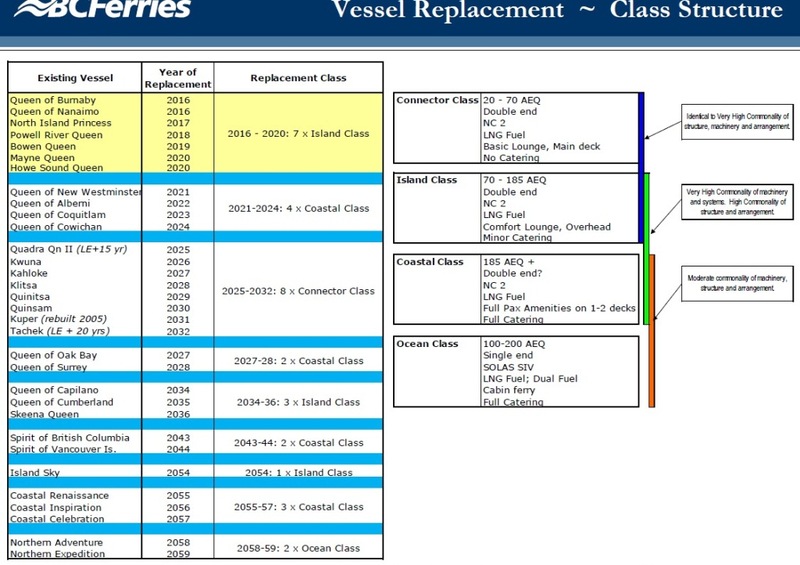 So without any warning, it appears BC Ferries has put up some preliminary info on their next class of vessels on their projects page. 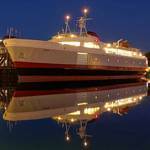 They are planned for the Northern Gulf Islands, will carry 44 vehicles, and 150-300 passengers. I'm not sure if this is related to the Nimpkish replacement, but this is very likely the replacement for the North Island Princess. A very strange vessel that's for sure. Very similar in look to the Salish Class, but much more barebones. 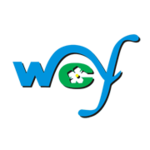 As is our WCFF custom when new-ship speculation turns to published plans with timelines, we create a new thread for the coming new ships. This will cover the design & construction phase of what is originally announced as 2 ships, but could turn into 7 ships in the coming year. 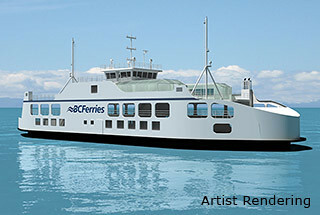 BC Ferries is building two new ferries to serve the Northern Gulf Islands and would like your input on their design. These vessels will be the first of up to seven possible vessels of this type to be built in the coming ten years as we continue to renew our fleet. All vessels will be standardized to achieve optimal procurement, low operating cost and interoperability. Standardized vessels help ensure consistent service across many routes. Construction will commence in 2017 and the first vessel will enter service in approximately 2020. A double-ended hull with single vehicle deck, high bulwarks and enclosed ends. Proposed capacity of 300 (passengers and crew) maximum, 150 on a normal license. Roll-on/roll-off vehicle deck with minimum 44 automobile equivalents (AEQ) (approximately 270 meters of vehicle lanes) with either end capable of loading/unloading. Standardized design for fleet interoperability and efficient training. Service life of minimum 40 years; emphasis on sound structural design and effective coatings. 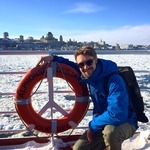 Suitable for year-round service in coastal British Columbia on Near Coastal Voyages, Class 2 (NC2), and Sheltered Waters routes. Passenger lounge accessible from vehicle deck, meets accessibility requirements without elevators. Lounge outfitted with mix of tables, study carrels, comfortable seats, community bulletin board, tourism space and charging stations for personal electronic devices. Overhead sun deck with a mix of tables and individual seats protected by a transparent wind break. Sufficient speed to maintain and recover schedule when required. Overall design optimized for low noise, low vibration and minimal wake wash.
Sea keeping suitable for winter transit in coastal British Columbia without excessive motion or spray. All systems designed for low energy consumption and clean environmental performance. Mechanical and electrical systems designed for simplicity, efficient performance and ease of maintenance. Propulsion to provide efficient transit and sufficient manoeuvrability for reliable docking in expected environmental conditions. Redundant systems for reliable performance. Modern safety and control systems. Big kudos to member Curtis for spotting this news. - Like a Salish Class without the passenger deck, and with a side lounge & side sundeck added. Will construction really commence in 2017? Is a shipyard lined up already, from the design proposal submissions from last year (which were kept very quiet) ? - ok, it's just the windows. BC Ferries has been fairly prescriptive in their RFPs in past; and by that I mean unusually prescriptI've. Consequently I imagine the final product will bare a very true likeness to the images attached in this webpage Curtis has shared. This document isn't the RFP but I stand by the general idea. This is the first minor vessel new build in ... ? many years. I suppose it depends somewhat on definitions but it has been forty years since active development (vice building) of small boats notwithstanding Kuper. Unless I missed it no mention of fuel type. Also no project timeline, but the generalities of that are known. Local yards likely need not apply due to the Canada Shipbuilding contracts. Are you forgetting the BS Con? It does count as minor, very minor ... and very recent. It looks very Scandinavian, as do the Salish class trio. I gather that there are 'scads' of similar designs in service today in northern European waters. It's not a ferry in my books. Suppose that's my bias showing through; and my expectation that is BC Ferries becomes public again that the currently unforecasted 8th minor vessel will end up in the BS Con's place. I love that we're already speculating on the "8th Sister." Perhaps she will be named "Ferry Richmond." ...and if the new class stops at 7, then we've got "Seven Sisters - The Next Generation"
It's not a ferry in my books. Yes, it is not a 'ferry', but rather, a 'horizontal elevator'. For the most part, this is really good news... particularly for this forum, where most of us have fallen away from posting anywhere near as often as we used to. 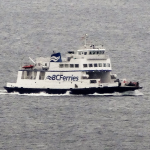 Good news for Hornby, Thetis, Penelakut, Cortes, Cormorant, Malcolm, Moresby, Saanich Inlet... a considerably bigger ferry, three to ten years down the road. Given the money put into the Tachek, Quadra Queen II, and Kuper, one would have to think Texada would get the first new boat, with Hornby perhaps second, for both capacity reasons, and the age of the Kahloke. I doubt Texada would be thrilled to get a vessel smaller than their existing one- but perhaps Curtis could tell us if the North Island Princess really can carry 50 AEQ. One size fits all isn't always ideal... but sea keeping ability is a real issue for Cortes, Texada, and Hornby, and I suppose, for the Port MacNeill run as well. I'm sure that this announcement has absolutely nothing to do with the Liberals' recent focus on improving their vote in coastal ridings, just as I'm absolutely certain that there will be no speculative announcements about LNG prospects. But whatever the motivation (altruistic, I'm sure) islanders have to be heartened that there is indeed a plan to replace, and in some cases, improve on the vessels serving us. I'm curious about Dane's comments about the cable thingy. I think it's here to stay, no matter what party or service provider construct is in place. A full load on the NIP is closer to 45 than 50. I doubt Texada would be thrilled to get a vessel smaller than their existing one- but perhaps Curtis could tell us if the North Island Princess really can carry 50 AEQ. The short answer is no, you can't safely carry that many vehicles on the NIP today. Maybe if you did a bit of strategic loading and wedged a few small cars in the empty spaces forward and aft of the bulkheads you might get close to it, but some people wouldn't be able to get out of their vehicles and it would block the engine room escape hatches. Kahn_C is correct, I will start off though by saying that the NIP can comfortably carry 40 vehicles. The maximum capacity of the NIP, while listed as 49 by BC Ferries is actually 45, or 9 to a lane. You have to park every vehicle bumper-to-bumper to do it though, so it's generally only done for overloads. (Or running Route 7) The side lanes also present a challenge since they curve at the bow and stern and merge with the middle lanes, so it's easier to load 8 on the sides leaving us with 43 vehicles. So this new class of minor vessels will more or less have the same capacity the NIP does now. Interesting thing about the rendering of the proposed new vessel: it appears to be a single-ender. I don't see bow doors on the other end, which leads me to believe it will operate much like Tachek, QQII, and NIP do today. BCFS has outlined in the RFP, in the first few lines of the "design" section, that these will be double-ended vessels. Strange looking, but double ended nonetheless. There is nothing specific yet on the BC Ferry Commission website about these new minor ships being approved. The Commissioner will need to approve the ships before construction can start. Decisions involving approval of major capital expenditures during the fourth performance term. Anticipated activity includes four applications for major capital expenditure approvals including the replacement of up to five vessels for the minor routes, the Langdale Terminal development plan and the Fleet Maintenance Unit development plan. It says up to five minor ships, and the other two would be part of later years' assessments. 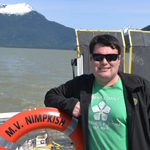 The crew of the Alert Bay-Sointula-Port MacNeill run have indicated their frustration with the capacity constraints with the Quadra Queen II, the last couple of times we have gone up there. At the time we were last there (January 2014), the BSC was preparing (still) to enter service, and the impending vessel shift was promising an opportunity to bring the North Island Princess to the route. That never happened, but I believe the Bowen Queen providing relief there was a trial for a larger vessel placement. On that reasoning I think that Port MacNeill would be one of the first to get the ships, but it does sound like there are some (seasonal?) capacity constraints on the Hornby run, and I defer to your judgement on that. These ferries will still need an elevator to get ADA (or disabled) passengers to the Sun Deck. For forward viewing purposes, these would be best to ride during the summer months as the enclosed lounge on the car deck would have a side view only. Despite having glass wind breaks on the Sun Deck, sightseers will need to brave the elements during winter months. I think a smaller version of the Salish Class would be better. All around viewing in an enclosed Saloon Deck lounge above the car deck plus a sun deck. All connected by an elevator as well as ladders. Since the departure of the SKANSONIA, KULSHAN, and the renovated (in 1981) KLICKITAT, all WSF vessels have enclosed end views as well as side views in their cabin above the car deck(s). 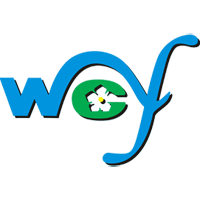 With the retirement of the HIYU, all WSF vessels have an elevator or two besides the ladders. A Junior-Salish would be better in my opinion. Essential passenger services will be on the car deck, so no need for an elevator. As for viewing from the lounges, the k-barges only have windows on one side, so no change there.